Most travel destinations claim to have “something for everyone” but rarely do they live up to the promise. 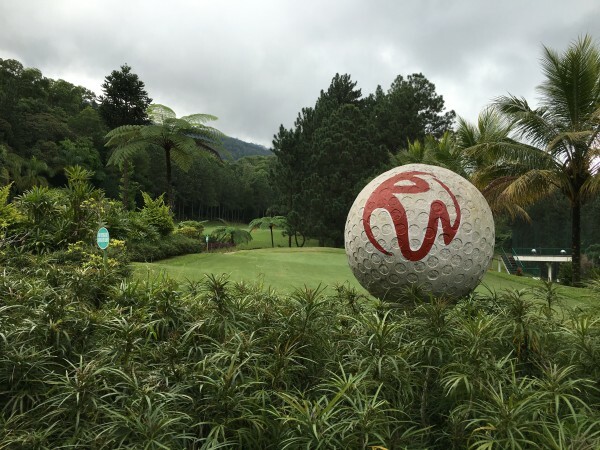 Resorts World Genting (RWG) is one of the few exceptions, with attractions and activities for all ages, interests and purchasing power. Whether you’re planning for a family trip during the school holiday season or a quick getaway with friends and loved ones during one of the upcoming long weekends, you’ll never run out of things to do at RWG. Here’s a 3 Days 2 Nights guide to help you plan for your next trip to the popular Malaysian highlands. Stepping into RWG can be quite overwhelming given the size of the area and the array of activities available. So first things first, sort out accommodation and settle into your room. To fully take advantage of what Genting has to offer, we recommend staying at First World Hotel on your first night. First World Hotel, recently-crowned The Largest Hotel In The World by the The Guinness World Records, is a three-star hotel located at the peak of Genting Highlands. 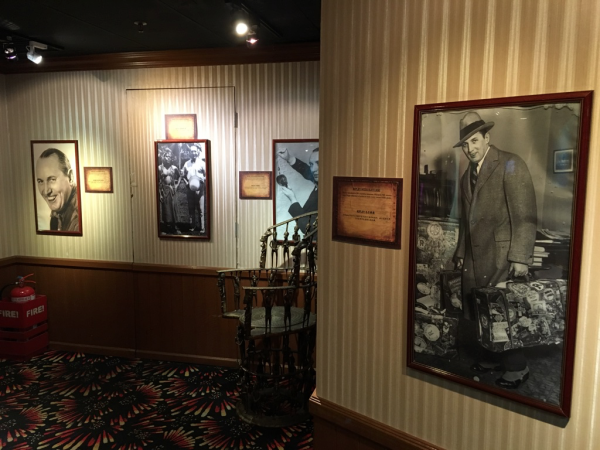 Read more about the redeveloped First World Hotel in our previous article here. Serving such a large amount of guests can often result in long check-in and check-out queues, but thankfully the hotel has implemented express self-serve kiosks to ease the process. All you need to do to check-in is to scan your passport, confirm your booking on-screen and select the number of room keys you need on one of these self check-in kiosks. Once that’s done, just collect your keycards and head to your room. The check-out process is even quicker; simply insert your keycards into the self check-in kiosk and you’re good to go. For our trip, we stayed at the World Club Room, which is the highest-tiered room at First World Hotel. 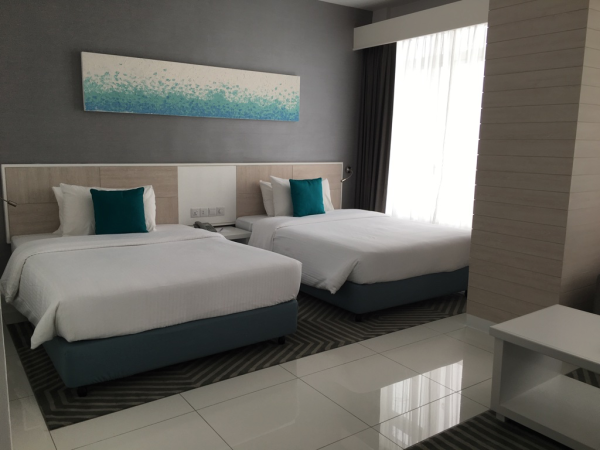 These rooms have been newly furnished and renovated, and unlike the Deluxe and Standard Rooms, which can feel quite compact for some, we found the World Club Room to be very spacious and had a premium feel to it. The room comes with the usual amenities such as a fridge, safe, flat-screen television, and kettle, but guests may be surprised by the lack of air-conditioning. However, as we previously mentioned in our review of the First World Hotel XYZ Rooms, the temperature drops pretty quickly at night due to the altitude. Catering to the smartphone generation, the room also comes with USB sockets which allow you to plug your smartphone cables straight into the wall. The hotel itself sits above First World Plaza, a mall with over 65 shopping and F&B outlets and an indoor theme park. 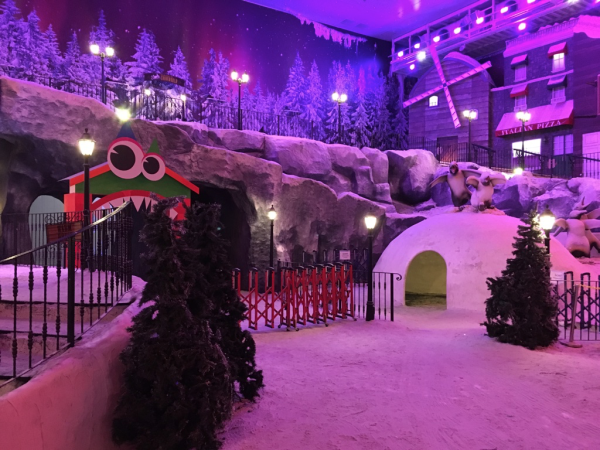 Families will have plenty to do here, with a range of family rides including the Reindeer Cruiser and Rio Float, where passengers get to take pleasant ride atop the bustling crowd in the mall. If you are like most Singaporeans who love to complain about the heat on a typical day, head over to SnowWorld in First World Plaza. Temperatures in this winter wonderland can go below -4 degrees celsius and snow can be seen falling at times. 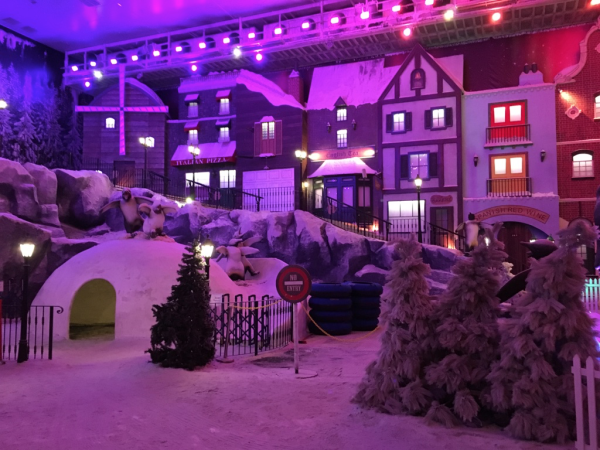 Visiting SnowWorld is not the time to be a “hero” as visitors are strongly recommended to wear the readily-available coats, gloves and boots upon entering the theme park. The attraction is breathtakingly beautiful and the snow slide can be a ton of fun for families and friends alike. You should also pay a visit to the Ripley’s Believe It or Not! 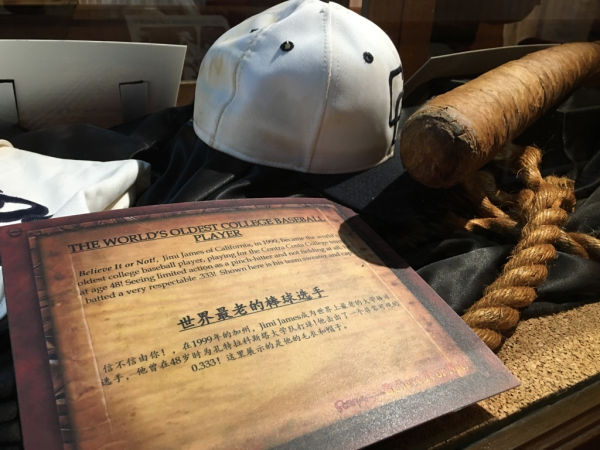 museum, where visitors will get a chance to see hundreds of intriguing and, mostly, unbelievable exhibits which have been collected and curated from all over the world. A highlight of the museum was the ‘Grab The Jewel’ exhibit, an optical illusion that makes it seem as though a jewel is within grasp, but simply disappears as you reach for it. If you’re visiting First World Plaza with a group of friends, get your spook on at the Haunted Adventure house, which is filled with unexpected surprises and would surely prove who’s tough and who’s not amongst your clique. 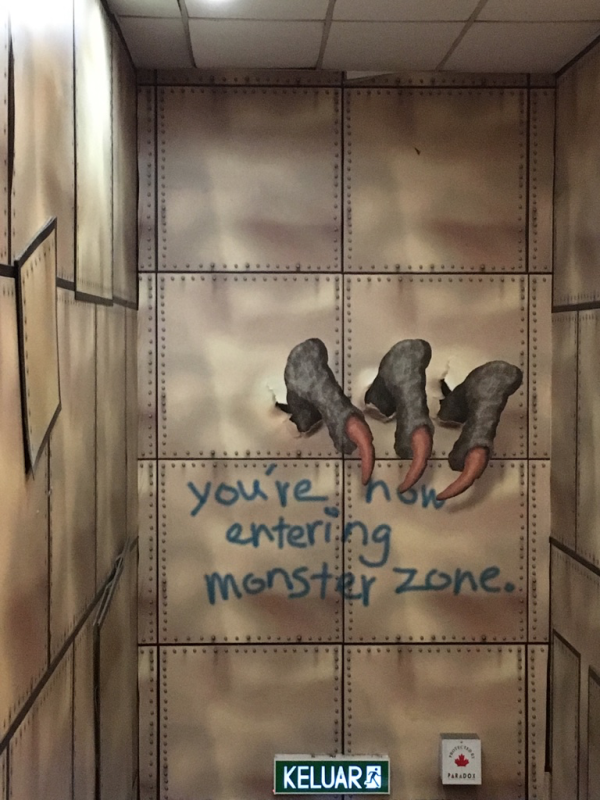 The haunted house takes about 10 minutes to walk through in complete darkness and is filled with unsuspecting corners. Those looking for more upbeat fun should head over to the Genting Bowling alley after 6pm where the entire place becomes a glow-in-the-dark bowling disco. 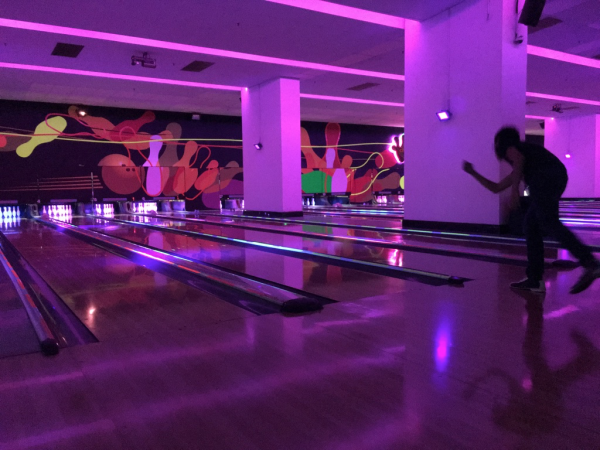 The alley turns into a whole new place once the lights go down and adds a welcoming twist to the sport. It’s also great fun for the kids, who may not necessarily enjoy a game of traditional bowling. There are a number of dining options at First World Hotel, mostly serving local cuisine and are pretty decent on a whole. However, if you’re in the mood to indulge, we’d recommend heading to the Genting Grand / Maxims lobby area where you’ll find a stretch of beloved restaurants and cafes. 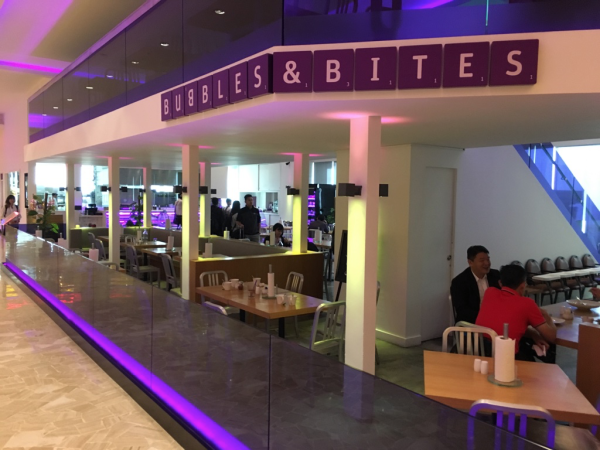 For lunch, we headed to Bubbles & Bites, a continental cafe deli that serves up high quality food at pretty affordable prices. Located on the second floor of Maxims Genting, Bubbles & Bites has a laid back atmosphere and is perfect for refuelling midway through the day. However, upon looking at their menu, you may find yourself spoilt for choice due to the sheer number of items on it. If you’re rocking up an appetite, try the Slow Braised Lamb Shank. The lamb is braised for eight hours, resulting in a melt-in-your-mouth quality to it with a gravy that is perfect with bread or the couscous that accompanies it. 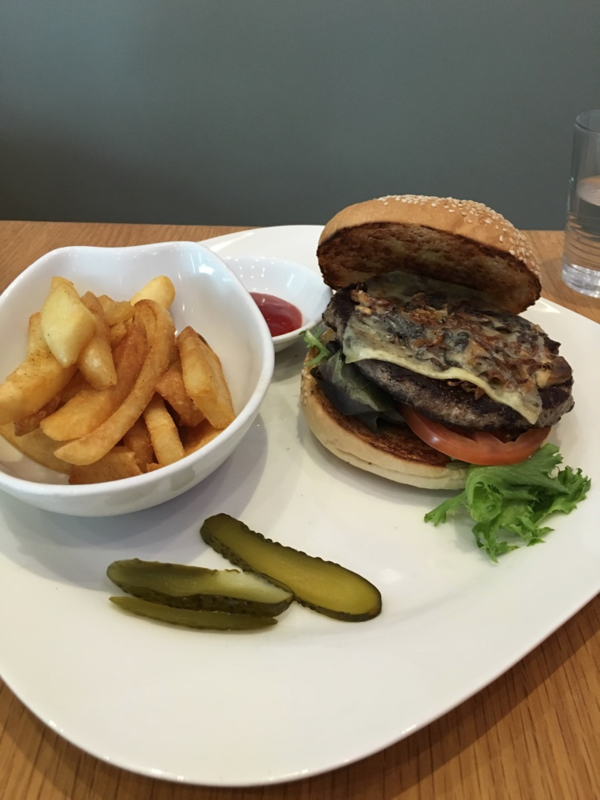 The burgers at Bubbles & Bites are also worth talking about. We had their ‘Simply Fresh’ Burger, which had a patty made from fresh ground beef and wagyu lard, and it definitely tasted as good as it sounds. You should also try their pizzas and pastas as they are made fresh in the kitchen using flour imported from Italy. 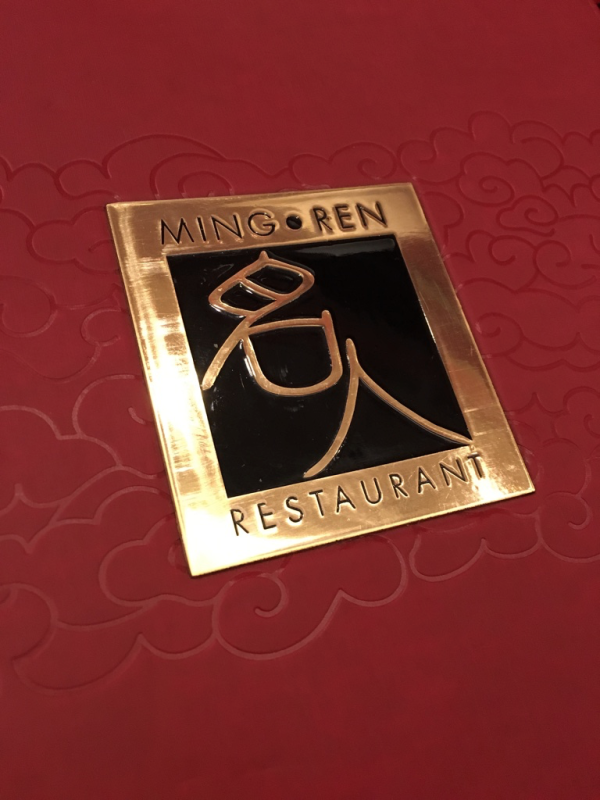 Ming Ren is a Chinese restaurant specialising in Xinjiang cuisine, particularly in lamb dishes. A majority of the dishes here are made with blends of spices not commonly found in most Chinese restaurants that tend to adopt a traditional Cantonese style. These spices help to elevate the lamb dishes, bringing surprising but welcoming elements not many would expect from a Chinese restaurant. There were many highlights during our visit to Ming Ren. 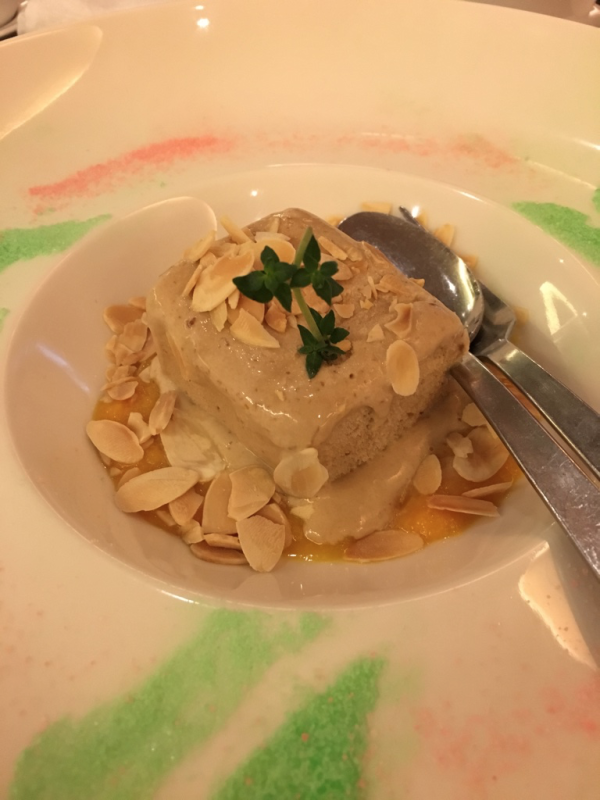 The usual steamed fish and roasted chicken were really well made, but the true standout dishes were their specialty Grilled Lamb Ribs, Fried Prawns in Wasabi and, believe it or not, Lamb Ice-cream. We were slightly sceptical at first at the thought of having ice cream made from lamb, but once the dish arrived, we enjoyed it thoroughly. Be sure to be look out for Part 2 of my 3D2N guide here!